#f52contest is our newest, fastest way to share recipes—on Instagram! And our newest theme: Summer salads. A few weeks ago, we introduced a faster, easier way to share your recipes and photos with us: Instagram! Each month, we'll pick an ingredient or a theme and ask you to tell us about what you're making through photographs and captions. And for the first contest, we want to see the salads that you'll be eating throughout the summer. 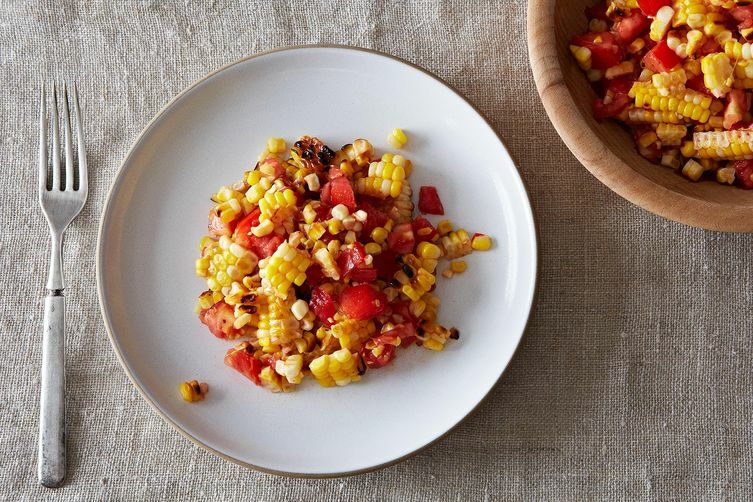 Take a photo of your best summer salad and be sure to use the hashtag #f52contest. When you tag your photo, it will appear below for everyone to admire. Describe what you made in the text of the caption so that others can replicate it. Consider this your opportunity to condense your favorite recipes into caption-form. We'll regram one photo a day, taking into account the most creative ideas and the most beautiful photos. At the end of the week, one winner will receive a bottle of something special to dress their salads with. Questions? Ask in the comments! That's a common problem in my house!